“Casper the Friendly Octopus” Discovered Near Hawaii? Hawaiian waters never cease to amaze ocean explorers, and that was certainly true this past week when a team of scientists discovered what they believe is a new species of octopus near the islands. And that octopus has been dubbed “Casper” by folks on Facebook due to its jelly-like, almost flourescent color. The group of scientists from the National Oceanic and Atmospheric Administration (NOAA) were diving about 4,000 meters northeast of Necker Island (Mokumanamana) in the Hawaiian Archipelago with the purpose of getting more information about a ridge near the area. But, to their surprise, the team’s remotely operated vehicle (ROV) Deep Discoverer discovered something else: an unknown octopod at about 4,290 meters below the surface! The ROV Deep Discoverer can be seen in this photo approaching the unknown octopod. 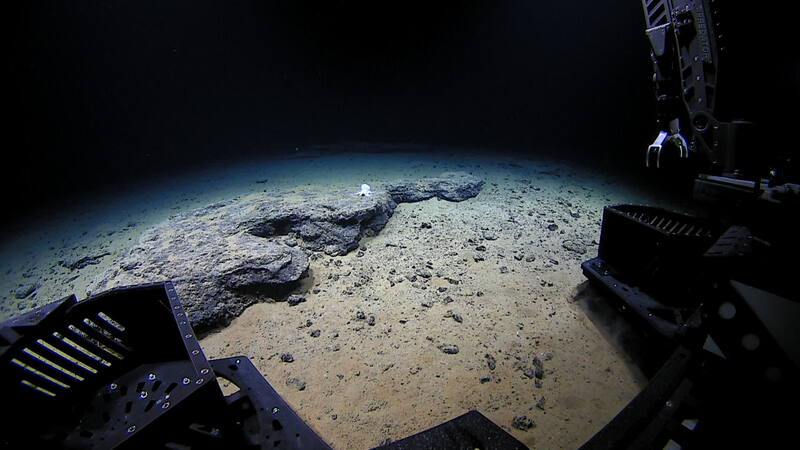 According to NOAA, the ROV Deep Discoverer “came across a remarkable little octopod sitting on a flat rock dusted with a light coat of sediment. The appearance of this animal was unlike any published records and was the deepest observation ever for this type of cephalopod.” That means the team may have discovered a new species near Hawaii. Incirrate octopods, which lack both fins and cirri and are similar in appearance to common shallow-water Octopus. This is similar to what you would see in aquariums, such as the Waikiki Aquarium or the Maui Ocean Center. 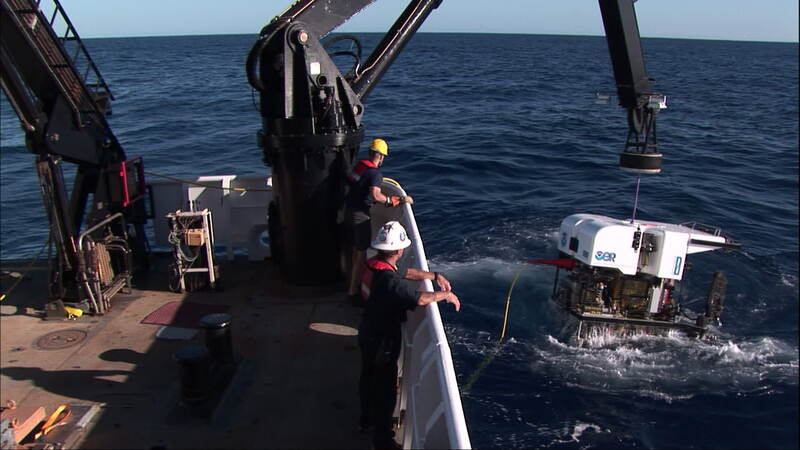 The ROV Deep Discoverer returns from its first successful dive of the expedition. Cirrate octopods have been reported to depth of over 5,000 meters. However, the deepest published reports for incirrates are all less than 4,000 meters, according to the NOAA report. Visit this NOAA webpage to see the write-up from the scientists, including a video of the octopod. So, do we have a new species of octopus on our hands? Scientists will soon determine if that’s the case. In the meantime, here’s to hoping the waters surrounding Hawaii continue to reveal its secrets little by little.